Hockey is booming on the Gold Coast. 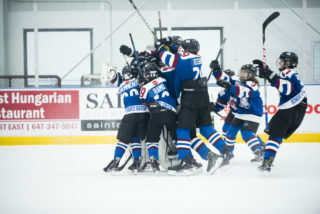 USA Hockey reported that in 2015-16, the Pacific region – which serves Alaska, California, Hawaii, Nevada, Oregon and Washington – posted the fourth-highest registration total of its 12 districts, including more than 28,000 registered players over the age of 19 – tops in the country. With nation-leading numbers among the 19-plus population, hockey is bound to continue its growth on the west coast. 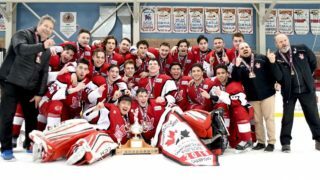 Breakout caught up with a few GTHL expats who are helping to grow the game in their new hockey homes. Mike Futa in his MTHL days. Breakout: What is your most vivid memory of playing in what was then the MTHL? Futa: Getting to practice at Maple Leaf Gardens in the morning and having Harold Ballard tell us that we’re not allowed to shoot pucks against the boards because it left black marks and didn’t look good on TV. Then getting to stick around to watch your heroes practice. Who would you say has had the biggest impact on your career in hockey? Paul Dennis, who was with the Marlies and Father Henry Carr [Catholic Secondary School]. There was a period of time I was kind of off track with how much I was putting into hockey and wondering what I was getting out of it; he was just such a positive influence in channeling in the right direction. At the same time there was Father Ted McLean, our principal, who helped my focus. What is one of the biggest keys to sustained success in today’s NHL? You really have to draft well and develop your own. That’s kind of what [Kings general manager] Dean Lombardi has done with regards to the amount of responsibility he gave myself and [Kings director of amateur scouting] Mark Yannetti when we were not such a strong team and had to rebuild through the draft. You really have to draft your own core, and in turn develop them. The days of buying an all-star team are so long gone. GTHL grad Tyler Toffoli won the Cup with you guys and seems to be part of that core you referenced. 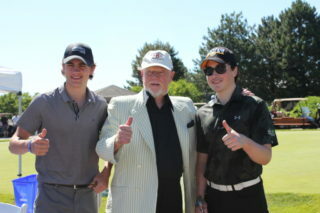 I think Don Cherry said it – we’re kind of like an OHL all-star team. Obviously we’ve got some incredible pieces like Quickie and Kopi [goaltender Jonathan Quick and captain Anze Kopitar] around it, but you think of the night we had success in Toronto [a 7-0 win on Nov. 8] and nearly every player that scored was an OHL grad. What are your thoughts on the California hockey scene? It truly is growing. It started out with roller hockey down here, but what I’m finding is there are so many great Ontario-based hockey players that now live here. These guys have travelled and have seen it all. They take the whole mentality and class of an organization, and look. 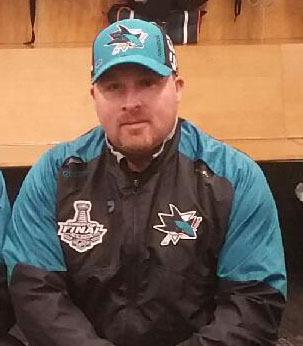 Steve Spott during the 2016 Stanley Cup Final. Spott: The combination of great coaches, teammates and parents made my experience very special. 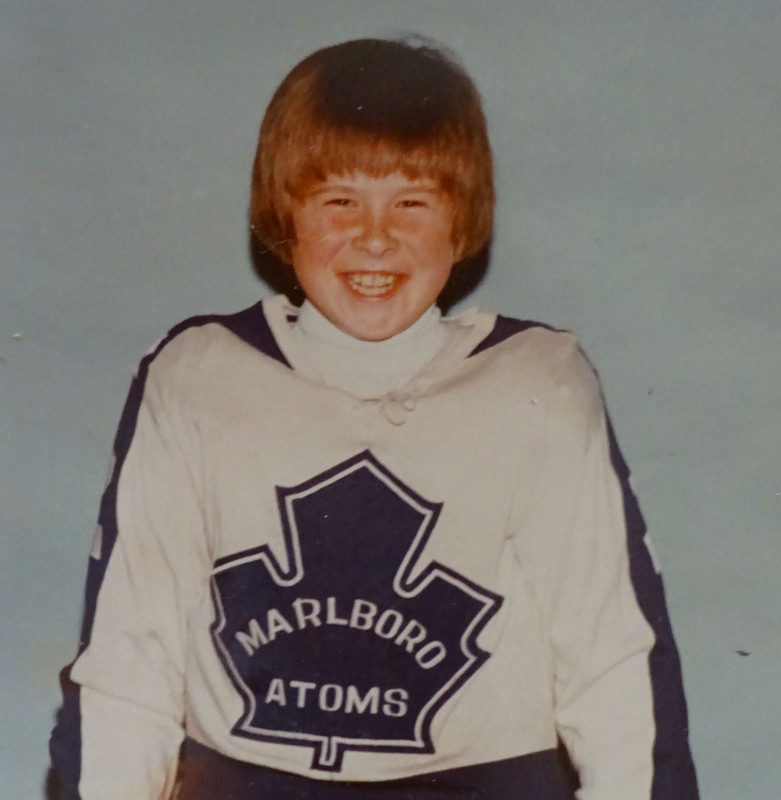 That is what made my minor hockey memories so valuable – relationships and bonds that were formed 41 years ago. Who would you say has had the biggest impact on your hockey career in hockey? In the GTHL, Randy Ward was a coach that played a positive role in my life. He was a true mentor that believed in me as a player and I greatly appreciated that. Dan Cameron in Jr. B and Terry Slater at Colgate University also played major roles in my career and life. I’m grateful to all three of them. They were firm yet fair and always put school first and hockey second. Have the past few seasons been a whirlwind, starting back with your years in Toronto? I still remember driving to my first day of work with the Marlies in the AHL wondering if I had made the right decision leaving junior hockey in an incredible market [Kitchener]. The ride we had that year as a team was a lot of fun. The following year with the Toronto Maple Leafs was memorable for a lot of reasons. As a boy growing up in Toronto and admiring the Leafs, here I was standing on their bench; that was very cool. We had our challenges on the ice, however, I feel the adversity I dealt with as a first-year NHL assistant coach has helped me. Reaching the Stanley Cup Final in your first season with San Jose must have been a wild ride, too. It has been incredible. Working with Pete DeBoer again and with great players such as Joe Thornton, Patrick Marleau, Joe Pavelski and Brent Burns makes coming to work a treat every day. I’m very fortunate. It’s hard to believe that we were two wins away from winning a Stanley Cup. At first it was very difficult emotionally but I realize now that our year was pretty special. The key is to not let the adversity hurt your team mentally. Hopefully we can bring the Cup to the Bay Area; Sharks fans deserve it. I was astounded to see the four sheets of ice at our practice facility in San Jose fully reserved from morning to night. 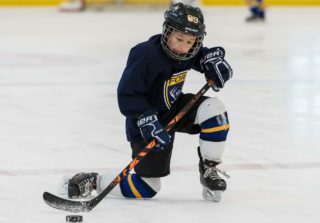 Kids are learning to skate daily and youth hockey has exploded in California. The growth of the game has continued for both boys and girls. Our Jr. Sharks program is very strong and is becoming more competitive every year. I’m confident California will continue to develop players in the WHL, NCAA and NHL. It’s great to see the game we all love in Canada flourishing in California. 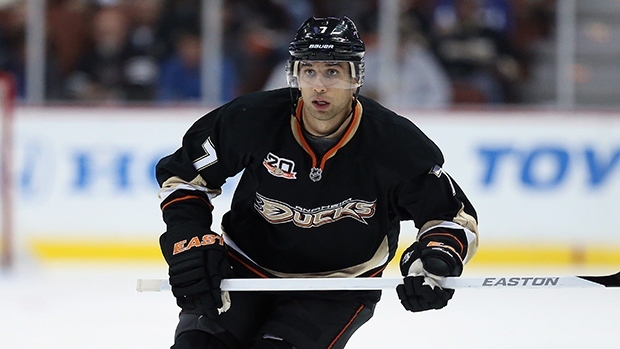 Andrew Cogliano wore No. 7 even in his minor hockey days. Breakout: What is your most vivid memory of playing in the GTHL? 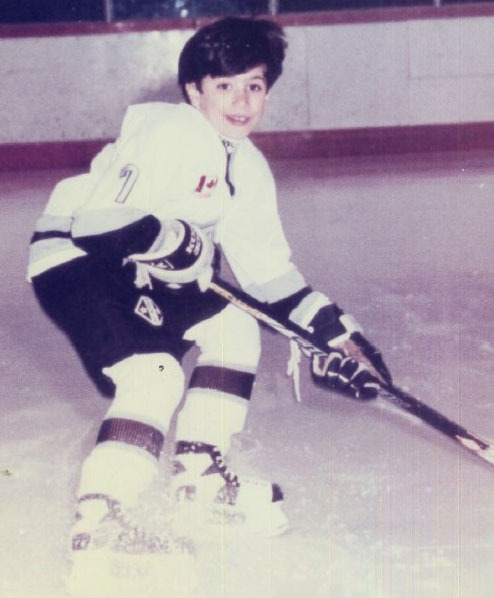 Cogliano: It would have to be our peewee trip to Quebec with the Vaughan Kings. It was always a big tournament and well known. 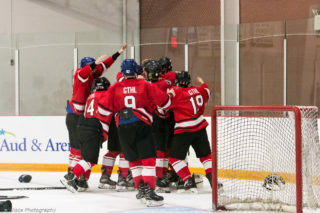 We had success and most importantly I made a lot of friends and met a lot of good people playing minor hockey in Vaughan. That’s one thing I have always held on to as I’ve moved on in hockey. Who would you say has had the biggest impact on your hockey career? My dad. He has always shown me the right path and pushed me to get where I am today. It’s important to have someone give you both good and bad criticism and my dad has always helped me with that. My old coach Barry Harte is also someone I need to credit my success to as he was my coach all the way in minor hockey; he taught me a lot about the game and played a vital role in me getting to the next level. In what ways did your time at the University of Michigan help your career? Michigan was obviously a big step for me in terms of getting to the professional level. I enjoyed being a student-athlete and I think the style of hockey played a key role in how I developed. Michigan has always been a strong hockey program and I learned key tools both on and off ice that have helped me in the NHL. Do you have any superstitions about your ironman streak? I have been very fortunate and very lucky with what I have been able to do and to be honest, it’s not something I think about too much. I want to play and contribute every night and that’s what my focus will be on. Hopefully I can continue to do the right things in my training and stay fortunate. We’ll see what happens. It’s definitely a sport that is up and coming. 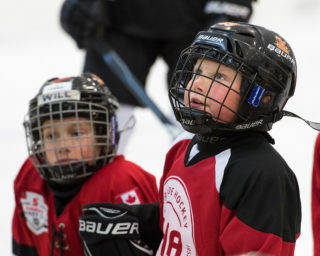 Kids continue to take up the sport and hockey programs continue to grow which is great to see. Hockey in Canada obviously is on another level in terms of popularity, but the sport is growing and with the help of the Ducks, Kings and Sharks hopefully that continues.